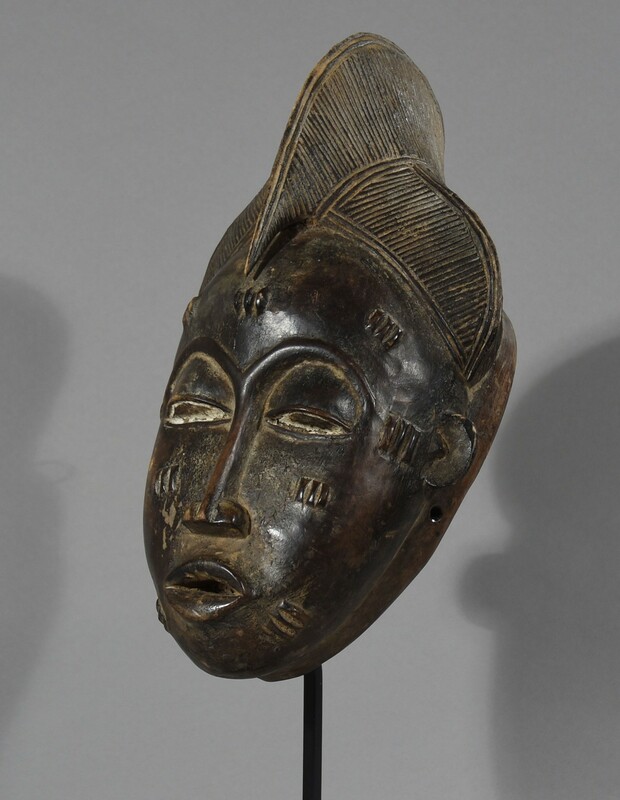 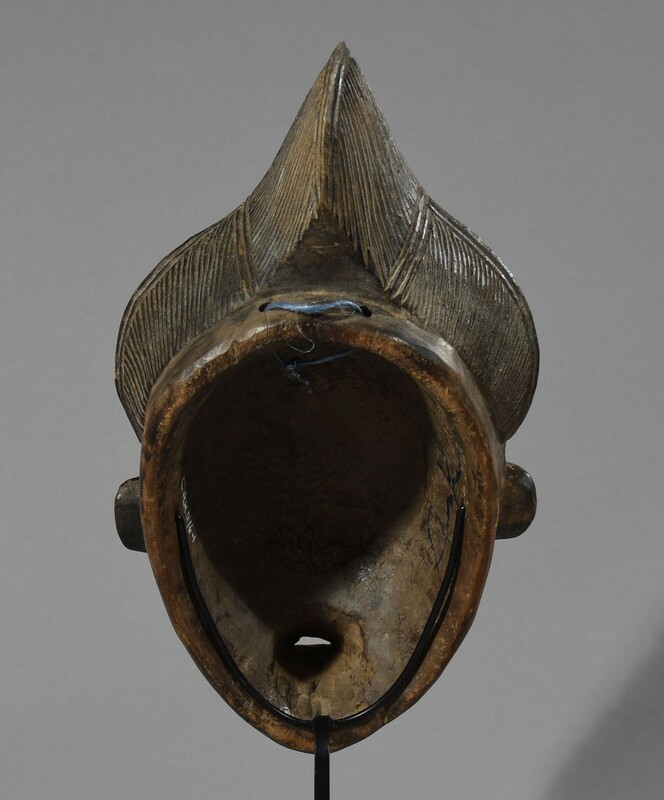 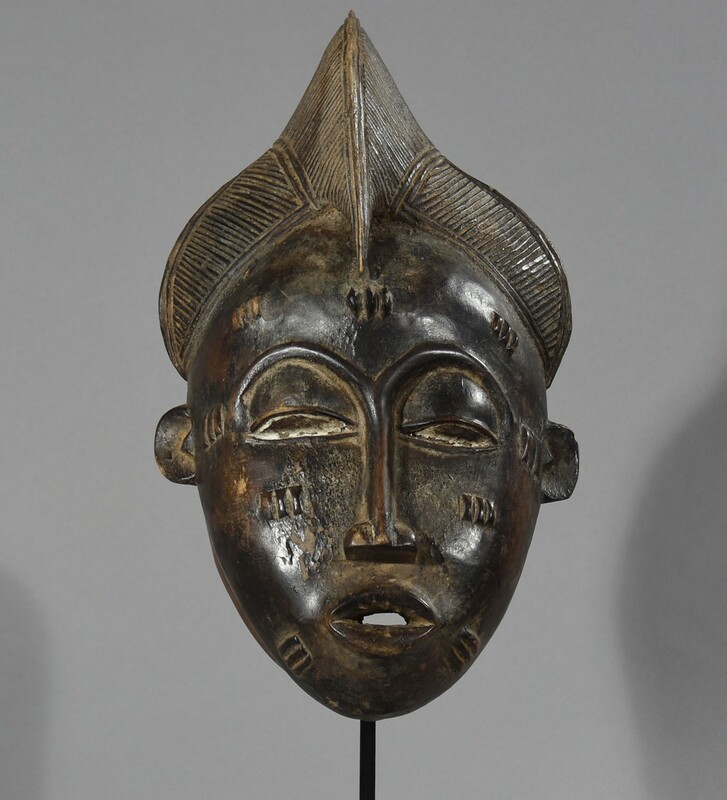 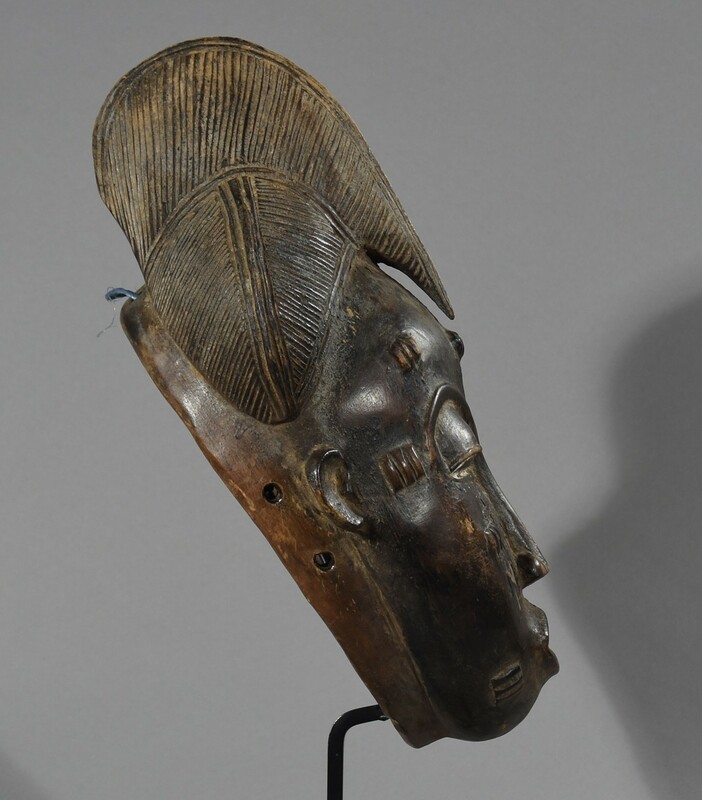 This excellent carved classical mask from the Baule people of the Ivory Coast belongs to a special groupe known as portrait masks and evokes the artistry of the Baule artists from the past. 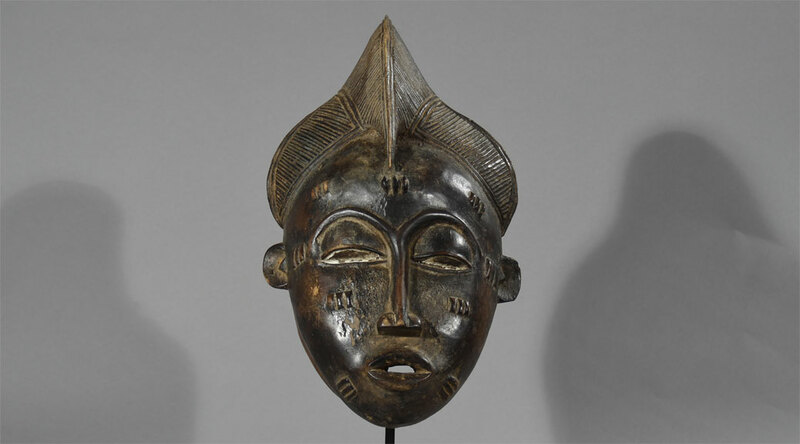 These portrait masks are said to portray an honored person of the village or a personal ancestor who is celebrated during a ceremonial dance known as Mblo. 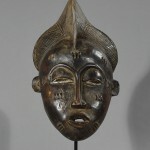 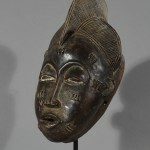 It is an aesthetic performance in which this well carved mask would be worn with a multicolored costume and danced in the most graceful manner by either the person it represents or a relative.The costume would have been attached to the mask by cords that were threaded through the holes in the mask. 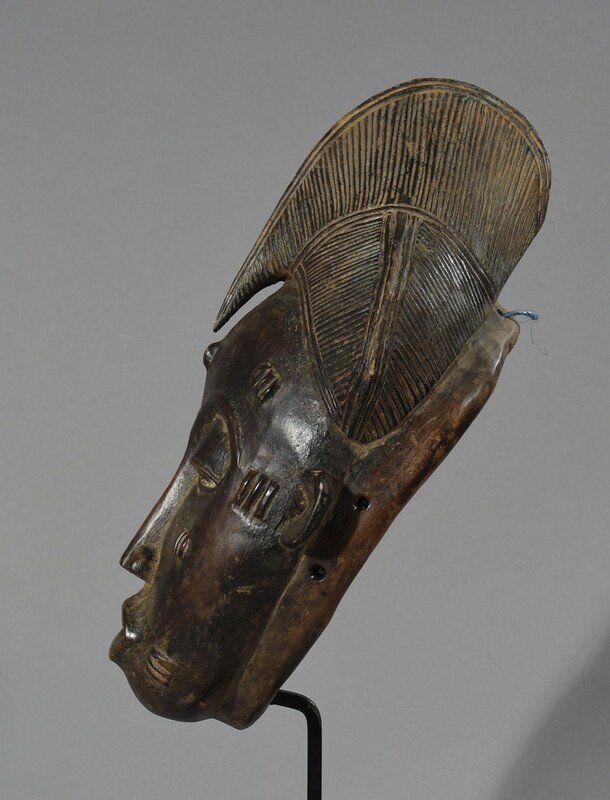 The Mblo dance reflects feminine virtues, including graceful movements and elegant dancing steps and celebrates her beauty. 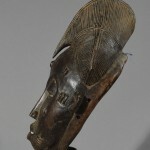 The semi-closed eyes and pursed mouth indicate propriety and respect indicates how a mature woman would act. 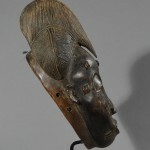 Condition: The mask is in very fine condition and bears clear signs of frequent use with insignificant small scrapes and insect attack. 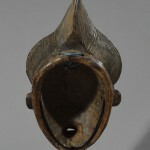 Provenance: Bought on auction ex a Danish private collection.